Runaway with Bring It ONtario at The Great Escape! 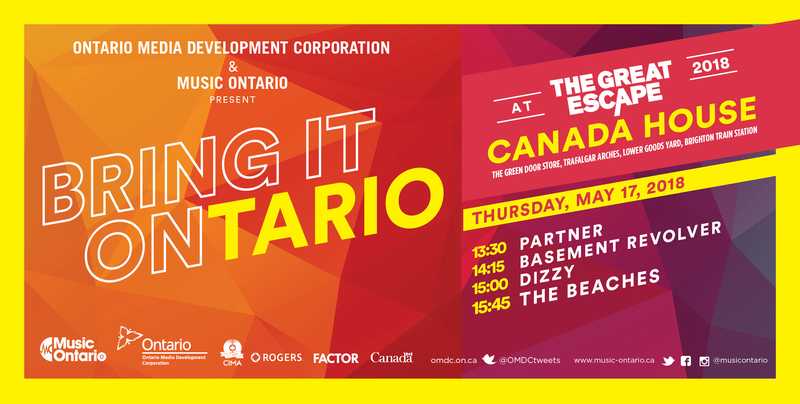 MusicOntario and Ontario Media Development Corporation (OMDC) are taking over Canada House with a lineup made-up of some of Ontario's finest independent acts at The Great Escape 2018! Come join for a music-filled afternoon at The Green Door Store as we make Brighton a little brighter! Partner is the "mature" effort of two best friends named Josée Caron and Lucy Niles. Borne of their bizarre and fortuitous friendship, Partner is genre-defying and terrifying: part musical act and part teenage diary, Partner is unflinching in their exploration of intimacy, friendship, sexuality and rock n roll. Live they are a 5-piece and they shred.